Our team consists of both Kenyan professional athletes and European hobby runners. Up until now our European members come from Germany, Italy, Switzerland, Slovenia, Slovakia and Austria. This mix characterises our team and reflects our philosophy. Our team welcomes everybody who is interested in foreign cultures, sees the running sport as a means of bringing people together and would like to be a club-colleague to an international top-athlete. There are no requirements when it comes to the training level and we are happy about every new member! The membership fee for adults (from 19 years) is 100€ per year and 50€ for children and teens up to the age of 18. The fees are waved for the Kenyan athletes. 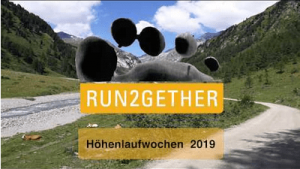 If you already are member of another running club but still want to support our project and be a member of our team runn2gether running team Austria you can do so with our supporting-member membership for 20€ per year. Naturally our team is officially registered with the Austrian Athletics Association and if you are interested in taking part in championships we can issue a ÖLV licence. As our club is officially registered with the Austrian Athletics Association all our members qualify for starting at many different championships. Corporate Identity, unique and high quality running dresses and training outfits, only available to members. Wear the dresses of winners! Get tips and insider information from experienced marathon-runners and trainers and improve your personal best. Members receive a 20% discount on Garmin products when buying through the club. Marathon- and running trips, accompany our Kenyan members to various marathons in Europe and stand with them at the starting line. Have warm-down, make last preparations and analyse your performance with Kenyan top-athletes you know and your friends. run2gether Mount Longonot Sports & Recreation Centre: as member you have the prerogative when making reservations at the altitude training centre and we also help you to organize your trip to Kenya. Even though our members live widely scattered we try to organise joint activities such as Christmas meetings where we share photographs of the past season, joint runs and meet & greet with our athletes during various running events and visiting each other at Turracher Höhe during the summer. Once a year we also organise a workshop for those who have a keen interest in our activities. Further activities are being planned.